These articles will focus on mistakes experienced, personal gear options, and tips for staying motivated to create music. So many things can be taken from these articles, the most important however, should be to learn from the mistakes of others and always be willing to expand your knowledge of your instrument/studio. Mark Claytor has extensive experience working on his own music and recording it so he has graciously talked with me to share what works for him. His mindset and dedication to what he does is nothing short of quality to anyone who listens to his music. James West: Mark, what is your process or steps you take to prepare yourself for studio recording? 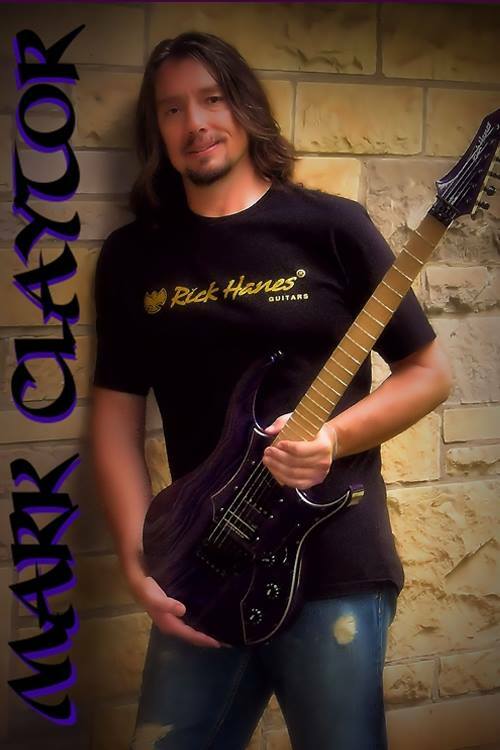 Mark Claytor: Well, I try to have whatever I’m going to record well-rehearsed so that I don’t take forever to lay down one track. I usually know exactly what guitar and effects I’m going to use for the sound I hear in my head and for the feel I’m going for on the track. Once I start recording with a guitar it gets used for the entirety of whatever tracks I’m recording. So if I start with one guitar on rhythm tracks it is used on all of them. Then when those are done I usually switch guitars for lead tracks etc. As I’ve mentioned in other interviews I’m a little OCD and if that guitar is working for me on that track. I don’t want to use anything else. And to be honest I kill myself in the studio to get what I feel is a good product. So I could have it rehearsed to perfection but I can always find something to improve on. I’m still very much learning. And it drives me crazy. But that’s also the fun of it I guess. James: What kind of gear/software do you use to record? Boss NS-2 noise gate, Dunlop Jimi Hendrix octave fuzz and my Morley Bad horsie wah. Those are all connected with George L’s cables. I’m still pretty analog. Amps are all tube and they go into the direct box then into my Lexicon alpha interface then into the daw. I have 11 guitars I also put to use depending on what sound I’m going for. For my latest track it was my Signature Rick Hanes guitar and my Vengeance VS-2 that got the call. I also use Spawn guitars and on the side I enjoy building my own guitars so all my guitars get used. They are the tools. I use to create. James: Being so in tune with your instruments, what are some things you add to enhance their sound? Mark: I’m kind of old school when it comes to that I think. I keep it pretty stripped down obviously. I just want to hear the amp and the guitar. Yes I do have a few pedals I implement from time to time but when it’s all said and done there is very little processing. Mainly EQ and compression a few different exciters. I double everything. And I mean everything. I also never cut and paste no matter how easy it would make it sometimes. It just sounds so much better to my ear if I double myself through the whole track. Seems silly I guess but I think it sounds better. I also think tone comes from you. Your hands. The way you hold a pick. Many things. But this is just my opinion. James: What are some mistakes you’ve made while recording music? Mark: Ha! Many. As I said I’m still learning about the production side of things. And it drives me crazy one day you think you got it and it sounds great and bam! Next day it is all different. I’ve learned to walk away for a few days then come back with fresh ears. I also have some great friends that lend an ear and help me out when I’m ready to burn it all up in a fire. James: How did you learn and progress as a musician from those mistakes? Mark: I think the most valuable thing I’ve learned is to get away from it. As much as I hate to stop once I’ve started I realize I have to give it a rest or I’ll never get it done. And try not to second guess yourself to death. Also seek advice from others. You can always learn. As far as progressing I know if I’m struggling with a difficult passage on guitar. I know if I walk away from it give the muscles a chance to rest I can usually come back in a day or two and get it. Same with production. Your ears get fatigued and you have to give them a rest. James: As a recording artist, how do you fight the urge to remake or rewrite old material? Mark: Ah yes… Artists I don’t think are ever happy and always upon listening back think. I can make it better. But sometimes it’s just counterproductive. You just have to trust your ears I think. I know how I like music to sound. Does that mean everyone will like it? No way. You’ll always have somebody that won’t like it. But as long as you’re happy that’s okay. I just know how I like to hear music with my ears and I use that as a starting point. Get your music to where it sounds good to you and let it go. Because I promise you the next time you hear it after it’s out there you’ll go. I should have done this or that. James: What advice would you offer to first time recorders or musicians who want to produce their own music? Mark: Use your ears. Seek advice. Listen to what the casual listeners have to say. Educate yourself on all the facets of recording and production. Enlist an outside engineer or producer to mix and master one of your tracks. Compare that to one you’ve done. There are so many tools out there that can make you sound pretty good but there are a couple of things you have to start with. And that’s talent. A good product. And desire to work hard. James: With social media and YouTube being so popular, what are some ways musicians could enhance their writing and production from fan feedback? Mark: I say listen to what anybody has to say. Like I said you can always learn. The world is full of “keyboard critics” so there will be people that like what you do. There will be people that hate what you do. That’s okay. Take the advice, learn from it and move on. Life is way too short to not do what you love. Never give up. 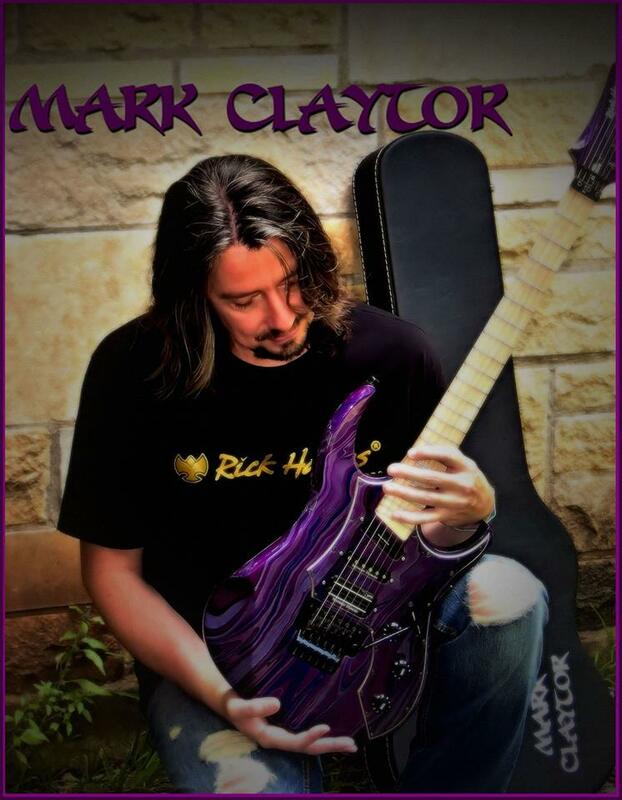 From experience to effort, Mark Claytor is a great example of putting in the effort to not only practice but expand knowledge on what is needed to craft the right sound. Contrast Control is all about emotion and experiences music can create. So that about wraps up what is Lessons Learned this time around. Mark and many other musicians continue to learn and improve what they need in order to create the best music possible. So if there is one thing to learn it would be: Never stop learning. Claytor, Contrast, Control, Feature, Interview, James, Learned, Lesson, Mark, West. Bookmark.